It was found that China's overall rice-wheat difference led to southern China more collective than north China divided by Qinling-Huaihe Line. Are individuals from rice islands more collective than its surrounding neighbors even if located in north China? The answer is yes. 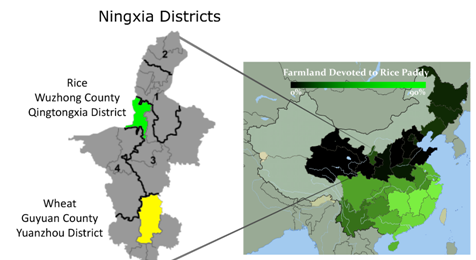 REN Xiaopeng from ZHU Tingshao team at the Institute of Psychology, Chinese Academy of Sciences (CAS), found that Qingtongxia of Ningxia is an isolated rice area sitting in a sea of wheat and herding in North China (Fig.1). 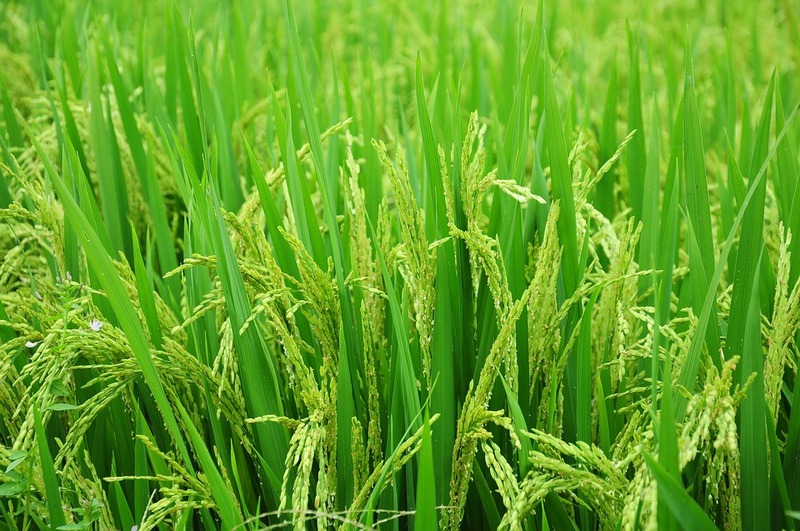 Its special location near Yellow River with sufficient water to farm rice gives researchers a natural case to examine the effect of rice-farming on collectivism. Teenagers from rice-island (Qingtongxia) and its contrast (Yuanzhou county) had been given multiple individualism/collectivism tasks. The results showed that teenagers from rice-island thought more holistically and treated close friend better than stranger and showed lower implicit individualism than its contrast. For Frame-Line task, teenagers from rice-island showed more relative perception at beginning than those in wheat, and later the differences decreased to the extent which is not significant (Fig.2). These findings provide more evidence to support that historical subsistence system continue to have effect on individualism/collectivism into modern era. Compared with farming wheat, farming rice needs more labor exchange and irrigation management, it pushes people to be more collective. These findings add valuable information to the understanding of the relationship between historical ecology and individualism/collectivism. The study was supported by the open funding of the department of psychology, Renmin University of China. The paper entitled "Teens in Rice County Are More Interdependent and Think More Holistically Than Nearby Wheat County" was published online in Social Psychological And Personality Science.